United Yacht Sales New Jersey would love to guide you through a personal showing of this 70' Kong & Halvorsen 70 Cockpit Motoryacht 1988. 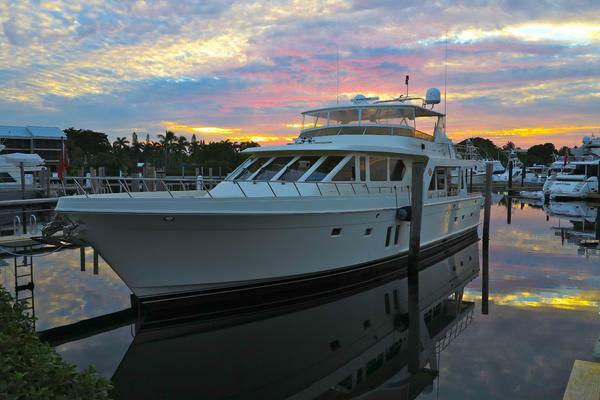 This yacht for sale is located in Wickford, Rhode Island and priced at $945,000. For a showing please contact us by filling out the form on this page and we will get back to you shortly! On the main deck there is a comfortable wheelhouse with port and starboard entrances. There is an upholstered bench seat with chart drawers under. On the port side is a staircase to the bridge. On starboard is a staircase going forward to the three guest staterooms. Also on starboard is the companionway leading aft to the galley where there is a dining area on starboard. And a spacious U-Shaped galley to port. Continuing aft, you enter the salon. There is a dining table, entertainment center, large settee, and a portside staircase to the master stateroom. There is a covered aft deck with dining table and wet bar...and down 4 steps is the aft cockpit. 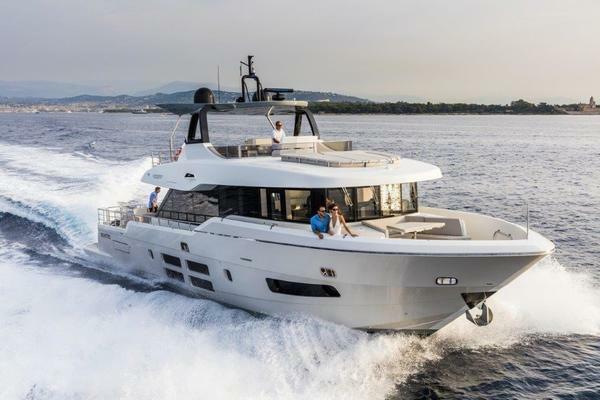 "Milestone V" has a huge bridge with seating for a dozen or more.There is a staircase leading forward from the pilothouse accessing three guest staterooms and two guest heads. The master stateroom is accessed through the cockpit or by way of the aft staircase in the salon.